2 Bedroom Semi Detached House For Sale in Nottingham for Asking Price £120,000. Beautiful two bedroom semi detached house which is in a sought after location and being sold with no upward chain. 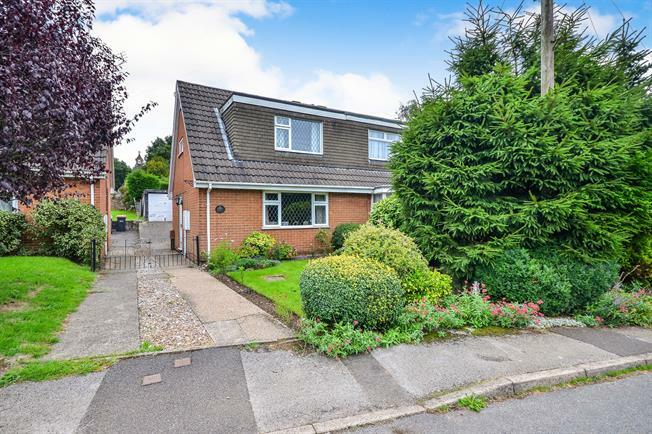 The property is well presented throughout and briefly comprises of an entrance hall, bathroom, open plan lounge/dining room and benefitting from having a extension adding a kitchen breakfast room which also allows access to the garden. To the first floor is a WC and two bedrooms with both having fitted wardrobes. Outside the property to the front is a lawned section and shared drive giving access to a detached garage. To the rear is a garden mainly laid to lawn with bedding sections and paved patio.